← Zambezi, my third home. As Jessica mentioned yesterday we all arrived safely in Livingston. Thus far our days have been filled with relaxation, the spectacular Victoria Falls, high tea, and the beginnings of processing all we have given to and taken from the past three weeks we spent in Zambezi. As we sat in reflection this morning, we were thinking especially of the moments that we hope to take with us from Zambezi, both collectively and as individuals. As I sat there in the grassy courtyard of our hostel, I was transported back to three adventures of this trip and the very structure of my life in Spokane. With clean feet and a slight breeze pressing against my back I was transported back to the hot and dusty adventure, from almost two weeks ago, that has now notoriously been named “The Road to Dipalata,” which others before me have eloquently recounted for you in previous blogs. Today as I began to hear some birds chirping in the trees above me I thought to the spontaneous, side of the road tree climbing and road races that came as a result of a Land Cruiser breakdown and getting stuck in a sandy road on the way home from Chitokoloki. Finally, as I opened my eyes and they met the bright sun above me I was brought back to the journey on the last Wednesday of classes, with two of my students, to find the little known Zambezi beach, a place with the softest sand you will ever feel, and whose route included running through grass higher than my head and down a trail not much wider than my two feet. The funny thing that I learned over my time in Zambezi is that these “shortcuts” usually took longer than it would have to follow the marked path or turn around and go the way one usually would. This little fact was something that annoyed me at first—as a person whose greatest loves include family and friends, chacos, coffee, and a stable plan. I found myself getting frustrated by the extra time or uncertainty that came with these detours and then getting frustrated by my inability to be more “go with the flow” or just embrace all that was happening in the moments that filled our short cuts. 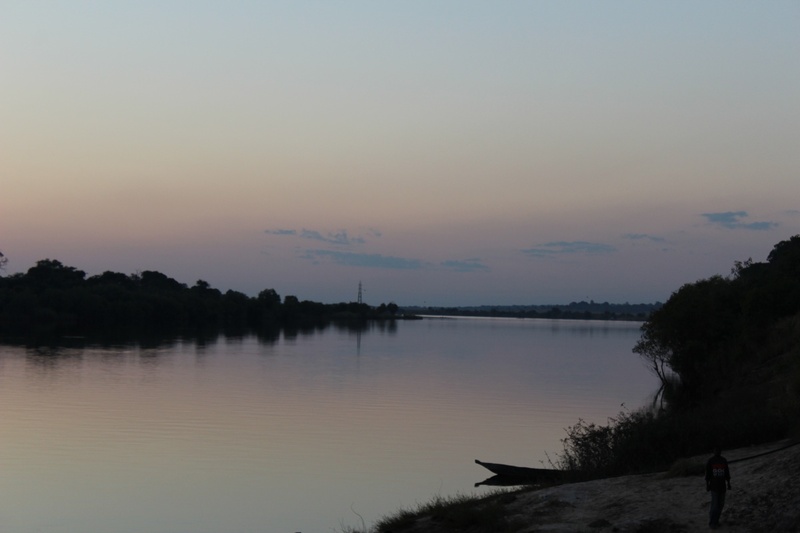 It wasn’t until my last adventure to the beach, a little (okay a lot) stressed about making it back to the convent in time for the accompaniment dinner, that I looked up to witness the river just a sand bank below me and the sun dipping slightly lower in the clear afternoon Zambezi sky. While I was unable to shake the consciousness of limited time that day, I did realize that there may be more to “adventurous” short cuts than the actual time that it takes to get from point A to point B. I want to believe that they act as a reminder that things don’t happen in Zambezi or in life through taking short cuts— but rather through taking the time to slow down, have a conversation with someone, observe what is happening around you, and being open to the many things that come from this. A part of my heart is disappointed in the time that it took me to get to this realization and my inability to fully apply it to an adventure during the time we had in Zambezi. But the other part of me is trying to internalize the feeling of sand between my toes and the sun on my back for the many junctions that life will bring me to as I enter back into daily life in at home and in Spokane. And it truly did make all the difference. P.S. We will be heading into Chobe bright and early tomorrow for our safari. There will be no blog tomorrow because of this but be we will be back Monday, I’m sure with some great stories to tell. P.P.S. Thank you to all the friends and family that have followed the blog along with us in on this journey. Your support from a far has been incredible and I cannot wait to give many of you a big squeeze when we return to the states. Welcome back from Chobe! I can’t wait to hear about all the animals you saw, about conversations you had about your guides, or revelations under the bright stars next to the warm fire. I can imagine that despite all the fun you are having, it might be weird doing all these “tourist things” after spending three weeks in Zambezi, but allow yourself to sit in the discomfort just as you have already been doing, keep finding ordinary moments to love, and talking with local Zambians. However removed Livingstone may feel from Zambezi, remember it is still a very real part of Zambia’s past and present. Morgan, tunasakwilila mwane for your words. Deciding to take the road less traveled is something I often struggle with too, so I am so glad you took it. Keep taking it in Livingstone. You might come across a fast food restaurant that is filled with awkward American card stock photos from the 1990’s. (JK that’s just the Hungry Lion across the street- but they have yummy ice cream so check it out) Oh and Morgan, let me know if you figure out a way to use Rick Steve’s utility cord at Fawlty Towers. I couldn’t figure out a way to hang it up with how the mosquito nets were tied around the bunk beds. Good luck and I hope you and Rick are still having a blast! Anyways, I wish you all a splendid, hot-shower filled, awe-striking, challenging, reflective, and adventure-filled time in Livingstone. Saying goodbye to Zambezi is so so hard. A place that is missed is a place that’s been loved. Just know that it’s not really goodbye because you will forever carry with you all the memories, lessons, and love you experienced there. Heck you might just become a crazy comment lady for the blog next year and be returned home to Zambezi every single day. Also, I came across a quote the other day, and I hope you find some truth in it: “Traveling in the company of those we love is home in motion.” You may have physically departed one home, but you still got another right next to you, holding your hand on the rest of this journey and beyond. Love you all and keep loving each other. P.S.S. Josh, Elly, Tay, Lydia, Anna, Morgan, my Zambia Gold Team, I was looking at our binder the other day and found all the bee trivia Anna, Morgan, and Lydia made. It made me laugh, especially when I remembered how excited Anna was to tell people the right answer when they didn’t know! Friends ask them to quiz you, they are quite knowledgeable. Josh thanks for posting all the instas of the accompaniment dinner, SO CUTE! Miss you all, you guys are the bees knees. it’s so good to hear from you. I’m just starting up in Seattle for tfa but figured I’d sneak on the blog this morning beforehand because I knew your turn would be coming soon! Ican’t wait to witness all the ways you’ve grown in love, in an understanding of yourself, and in appreciation for the richness and vastness of this world and it’s people from your month here. You’re learning to let your hands grip less tightly to whatever you’re holding, and that is not easy to do (especially when you help organize so much at GU). You’re learning and growing and changing, and that is a beautiful thing. I can’t wait until our time comes to enjoy chai and sunshine together (hopefully in August or September?!) comes again where I’ll get to hear everything in person. I love you and miss you. I hope you enjoy the safari even if your heart wants to be in Zambezi (I know mine did), and I also hope there are no lion visits to the bathrooms behind the tents at night as well! Morgan green, miss you and have missed talking to you so much this past month. Your absence reminds me how much I cherish your presence. Taylor and elly, I found a throwback photo of us all eating spaghetti dinner in coughlin and it’s so funny/cute. I was going to send it to the group text but you make up half of the group text so I thought I’d wait til your return haha! Taylor, your words (you were made for hard and holy things) keep coloring my days, and I hope that you are living your time knowing you were made for this too. Zambezi 2017 – what an amazing journey. I’ve just caught up on everything from Elly’s chindende, chindende until today and I’ve fallen in love with all of you. I know some of you are still wondering if you “made a difference” by traveling so far. Reading through your last weeks, I feel sure that you have made a difference, and that you are now different. 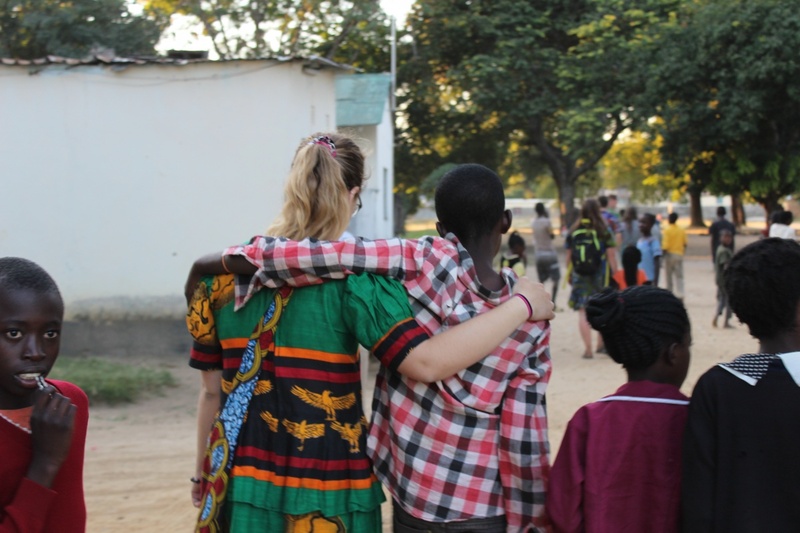 Your presence matters, to Zambezi, to each other, to yourselves, and to those of us following the journey. Paraphrasing Taylor, Zambia, like the U.S., deserves to be known completely, the beautiful, the tragid, the fantastic and the bewildering aspects. Taking the time to notice and listen with all of your being allows space for this knowing to ferment and grow into love and compassion. And that, makes all the difference.